Life before birth? Angles after death? Were we with God before we came here to earth or do we begin when we are conceived? My two year old son’s father died. Is it possible that his angelic spirit will see me again? Is it possible that he has already talked to our two year old? I am answering these two questions together because they relate to our existence in eternity, both before birth and after death. One question also deals with our “nature” after death – are we really “angelic spirits”? This would be a good time to dispel some popular myths. Man is a created being by God. Each of us had a beginning but we will not have an end. After death we will be judged by God and go to either heaven or hell – for eternity. I do not believe there is any evidence in the Bible for our pre-existence. In fact, I think the Bible supports the opposite. Look at what it says in Psalm 139:13. “For Thou didst form my inward parts; Thou didst weave me in my mother’s womb.”This seems to indicate God’s personal hand in the beginning of life for every single person. The psalm goes on to say; “And in Thy book they were all written, the days that were ordained for me, when as yet there was not one of them” (Verse 16). This means that God planned for our existence before we were conceived. We can each feel wanted and welcomed no matter what the circumstance of our birth. All of us have a spirit as part of our human nature but not an angelic spirit. Angels are a separate creation of God, different from us. For one thing they are pure spirits without physical bodies though they do appear at times with bodies that can be seen with the natural eye. We are not angels before birth and we do not become angels after we die. We remain human beings. At the time of the Second Coming of Christ we will receive a glorified body like His after the resurrection. “We know that, when He appears, we shall be like Him, because we shall see Him just as He is” (1 John 3:2). As much as our popular culture loves all things “angel” we should not be misled. Jesus did not die on the cross for angels; only for mankind. So we have no reason to covet them or their created attributes by God. Finally, remember this: our Lord agreed to leave heaven and all the angels up there and become a human being. Therefore, how bad can it be? 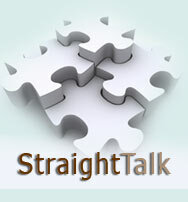 See more Straight Talk Questions and Answers.